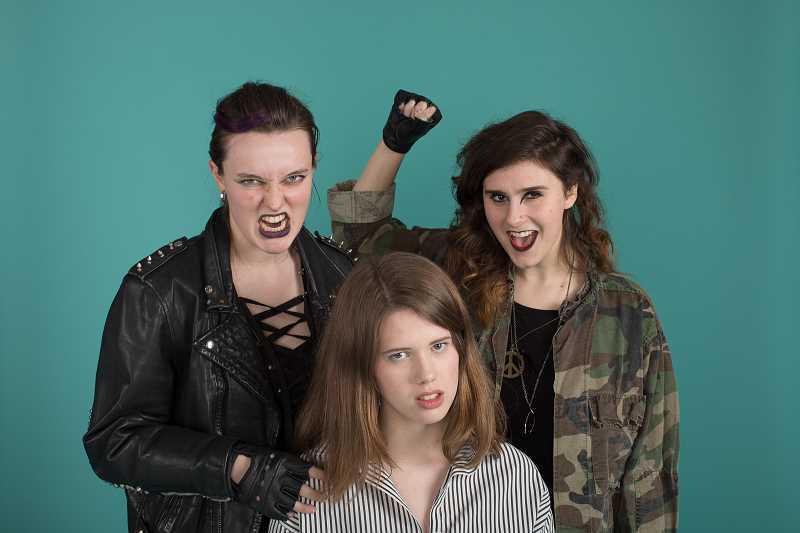 Revisit the Say Anything generation through the fresh eyes of the next generation, starting May 3 at the Alder Stage in Artists Repertory Theatre. Building on the success of their sold out smash hit "Heathers: The Musical," Staged! presents the world premiere of "John Hughes High: The 1980's Teen Musical," a piece designed for teen performers by Mark LaPierre (4X4=Musicals) and Eric Nordin ("The Snowstorm") and directed by Diane Englert ("Heathers: The Musical"). This inventive comedy flips the script on the John Hughes decade, using gender-blind casting to subvert the '80s teen cliches of adolescent ennui and outsider status, channeling Cyndi Lauper style while tackling the tricky challenges of the teen years with Staged! 's trademark depth and humor. WHERE: Artists Repertory Theatre, 1516 SW Alder St., Portland. ADMISSION: Tickets can be purchased online at stagedpdx.org. It's 1989 at John Hughes High where every student is fabulous and amazing except Samantha. Ignored and literally invisible, Samantha has found the answer to her escapist prayers — spending her senior year at the French School of Ennui. Her depressingly impressive Mom (played by Lisamarie Harrison), won't let Samantha go until she tries, "really tries," to make friends with the Vision-Questing Jocks, Fame Dancers, Pop Divas, Real Genius Nerds, and Rebellious Idealists in her school's breakfast club. What's an anti-heroine to do but dance, sing and charm her way to the top of the high school heap? The cast features local musical luminary Lisamarie Harrison alongside performers from high schools all over the Portland metro area. There are 22 teens in the show, including Mikaela Ochocki and Callie Sahli from Wilsonville, Jacob Skidmore and Lily Gleason of Lake Oswego. The piece has been written with inclusive casting goals in mind, offering opportunities to mix and match gender, race and ethnic identity as needed to work with the strong suits of each company that elects to perform it. A sold-out concert reading at the 2017 Fertile Ground Festival paved the way for this fully staged world premiere as part of the Staged! season. "We are all having a blast working on this amazing show," said Jacob Skidmore. "I have been with the show since the first reading at the Fertile Ground Festival last year and it is so interesting to see how the show has morphed and changed to what it is today. "This is a world premier so we are the first cast to do this show and every actor is originating a role which is such a cool experience to have so early in our acting careers as most of the cast is made up of teenagers. "The character I play, Lark, was originally set as a female character but after I read for the role Mark LaPierre changed the part so it is a gender neutral role. It was such an amazing moment to open the script in one of the first table reads and see that the script said that 'there are almost no characters artistically intended to be gender specific.' I believe that this is definitely the direction that theater is going in which is very exciting. "It is also so much fun to work with people our age. The cast has become a family that gets stronger with every rehearsal. I am honored to be a part of this cast and I can't wait to tell this story onstage!" The show is written by Mark LaPierre, creator of three seasons of sold out 4X4=Musicals performances at the Fertile Ground Festival in collaboration with composer Eric Nordin. His 2015 production of "The Snowstorm" garnered a Drammy Award for best production. Director Diane Englert helmed Staged! 's smash-hit production of "Heathers: The Musical" and offers over 20 years of new play development experience ranging from Off-Broadway to Portland Center Stage.